Horizon Media has retained the VTech Electronics media assignment after the maker of developmental stage-based electronic products for children completed a formal review. The review also assessed creative chores and the client appointed Siltanen & Partners as its new creative agency. With the win Horizon Media will continue to serve as the Media Agency of Record providing media and communications planning and buying services with an integrated approach. VTech spent $15.88 million on advertising in 2014, down from $16.32 million in 2013, according to Kantar Media. 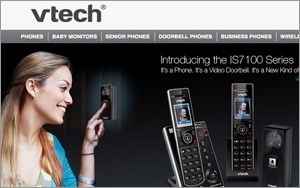 “We wanted to review our marketing efforts in an increasingly competitive environment and Horizon strongly demonstrated its deep understanding of our business and its continued ability to drive sales and increase market share,” said Jennifer Eiselein, the recently appointed Director of Marketing at VTech. The California-based Siltanen landed the account partially due to its close relationship with VTech's Eiselein, who was a former client of the agency when she worked at Amazon prior to joining VTech last July. The two agencies will debut their first collaborative campaign later this year with messaging targeted to both parents and children. The review was led externally by Stephen Boehler of the Mercer Island Group.